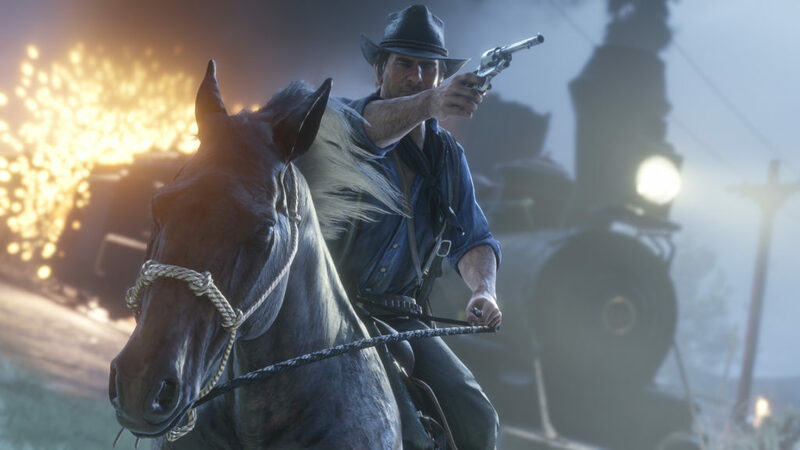 With exactly a week to go before the official release of Red Dead Redemption 2, Rockstar Games has announced that pre-loading for the game is now available globally. The catch? You’re going to need a lot of free storage space on your console, and even more patience, just for the installation. On Rockstar’s support page, the developer confirmed that disk installation will require 99GB on PS4 and 107GB on Xbox One. The digital installation remains that same for Xbox One, but PS4 requires an extra 50GB to accommodate the process. This means at least 10% of your 1TB console is going to be dedicated to Red Dead Redemption 2, and you’re going to have to have a lot of patience with the digital download if you don’t have the fastest internet speeds. The size isn’t deterring fans too much however. A comment on one fan account in response to the news pretty much summed up everyone’s feelings about the eagerly awaited game. In announcing Red Dead Redemption 2’s pre-load, Rockstar Games also released an official launch trailer, calling the game “an epic tale of life in America at the dawn of the modern age”. Guess we better all start making some space for Red Dead Redemption 2.